You may already know every Winspire Experience is designed to raise the most money possible for nonprofits - after all, we constantly create and update packages based on where donors are traveling now. And because we work with a wide variety of trusted industry partners, we have access to preferred pricing that sends more donor dollars to your cause. What you might not know: In addition to raising money at fundraising events, two Winspire Experiences give back directly to charities. When your donors tour the Sam Adams brewery in Boston or get a private historian's insider look on Capitol Hill, a portion of each purchase goes directly to two community-building programs. In a small group, donors enjoy a behind-the-scenes tour and tasting for two at Samuel Adams® Brewery. They're guided by a staff member who explains the brewing process used to make this award-winning craft beer. Depending on the brewing schedule, travelers may have access to off-limit areas such as the Barrel Room. And of course, there's plenty of beer samples to go around, including exclusive tastings not available to the general public. Also included in this trip is a 3-course dinner with beer pairing for two at Post 390 Urban Tavern. Post 390 is perfectly situated within walking distance of the South End and Bay neighborhoods. Diners enjoy fresh, seasonally inspired dishes: think lobster ravioli with lemon thyme beurre blanc, delicata squash, roasted brussel sprouts and pan roasted duck with apples and sage. Each course comes with a beer pairing featuring East Coast favorites. (Wine pairing available upon request.) The dining room features an open kitchen, fireside dining and views of landmarks like Copley Place, Trinity Church and the Hancock Tower. 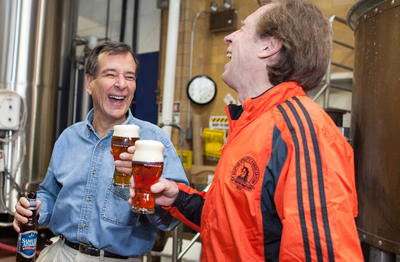 When Jim Koch started The Boston Beer Company on a shoestring budget in 1984, he experienced firsthand the difficulties launching a business in the food, beverage and craft brewing industry. As a result, Sam Adams launched "Brewing the American Dream" in 2008. This national micro-lending program provides small business owners around the country both real-world business advice and access to a true financial partner. A portion of every Sam Adams Winspire Experience supports Brewing the American Dream. Winspire trips raised $4,000 for the program in 2017 alone. Winning Bidder Testimonial: Deborah S.
"Worth every penny! We had a wonderful experience during our Sam Adams Brewery Trip. The Fairmont Copley was great, the pairing dinner at Post 390 was delicious and the private tour of the Sam Adams Brewery was informative and fun! Not to mention the time we enjoyed in Boston on our own." 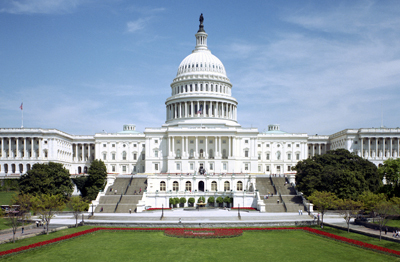 Tour "The Most Famous Building in the World"
Send your donors to The Capitol as members of the U.S. Capitol Historical Society with the Society's Chief Guide. 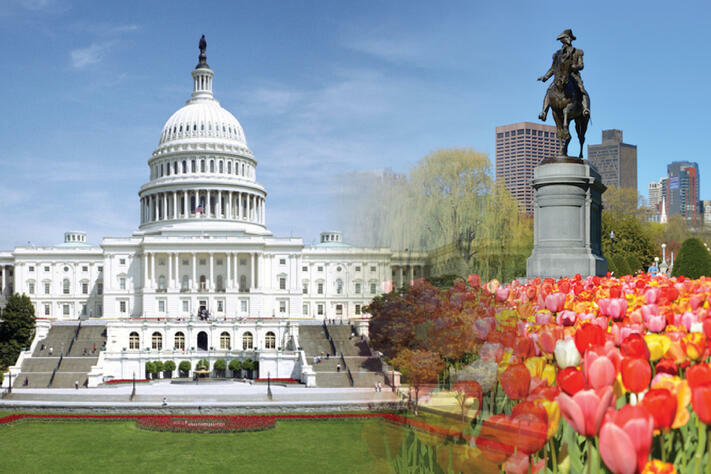 On this fascinating 3-hour tour, guests visit the Houses of Congress, view famous historic spots (the Rotunda, Statuary Hall, the Library of Congress and more), visit their Congressman's and Senators' Capitol hill offices, and much more. Most importantly, your donors will discuss history with a knowledgeable and engaging historian who has spent more than 40 years studying and observing the workings and players of the most successful democratic society in human history. Under bipartisan leadership of Congress, respected historians and invested citizens, the United States Capitol Historical Society (USCHS) was founded in 1962. A 501(c)(3) nonprofit, is the only private educational organization of its kind dedicated to sharing the rich heritage of the Capitol building and the Congress, the instrument by which the American people govern themselves, with the public. USCHS aims to promote an informed body of citizens that recognize the sacrifice and legacy of America's representative system of government. Every Winspire purchase of a U.S. Capitol tour goes directly to support this important work. Winning Bidder Testimonial: Gaye C.
"This was our first trip through Winspire, and we found them very easy to work with as we added a few nights to our stay. There is so much to see and do in D.C. and researching on your own can be exhausting. Having the hotel and tour booked for us made everything else fall into place. Neither of us were history buffs, but we found the tour to be informative and entertaining. The guide was extremely knowledgeable and provided a tour based on our interests. So if you don't know much about the past or if you are lover of history, he adapts the information to the your level of interest. I was intrigued by a couple of stories and came home with names of movies to see and books to read. The tour itself was just over 2 hours and then we were given passes to see both the House and Senate at work for the last part of the tour, and then we had as much time as we wanted in the Library of Congress. As for the logistics, everything ran smoothly as far as the hotel, breakfast (was delicious with healthy options), meeting up with our guide and the tour itself. We can't wait for out next Winspire Adventure."